I couldn’t wait to try this with my boys. They’ve already been having a blast wearing pedometers so I figured this would be even better and I was right. 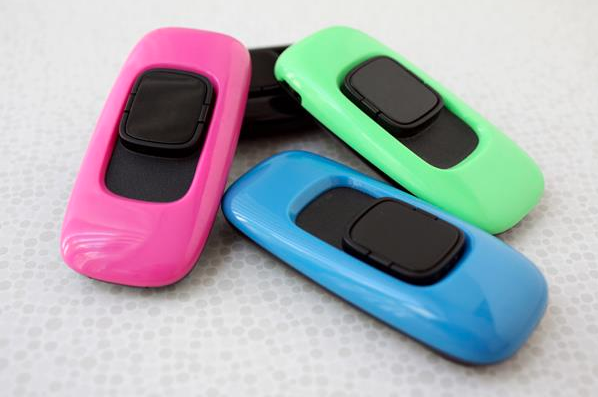 This activity meter measures the intensity of movement not just steps. Especially my little guy, he loved that he had control over winning awards. It did get a little bit competitive, but I think I handled that well. I learned something about being a parent as well I suppose. They were obsessed with wearing them at first, but it had died down a bit. Now, my little guys are very active on their own, but I think this would be a great motivator to a child that is maybe not as likely to be active. The boys also had a kick designing their own avatar. I’ve talked to several parents about the Zamzee. Some parents think it’s an awesome idea like I do, but others fear that even being rewarded might not motivate their child. As with anything worthwhile I think that parents need to be involved and I think that’s the great part about using the Zamzee. While it’s easy to just plug in and upload the data, I feel that cheering your child on can help keep the motivation going. There is also a family view screen to make it easier to view your entire families activity. A Zamzee meter costs $29.95 plus shipping. There are also discounts on multiple meters and large group orders. Disclosure: I received a Zamzee for each of my boys to try. All thoughts are my own and have not been influenced. sounds like a great idea! my kids aren’t old enough to be bored w/physical activity yet, but i think it’s a great idea!!!! 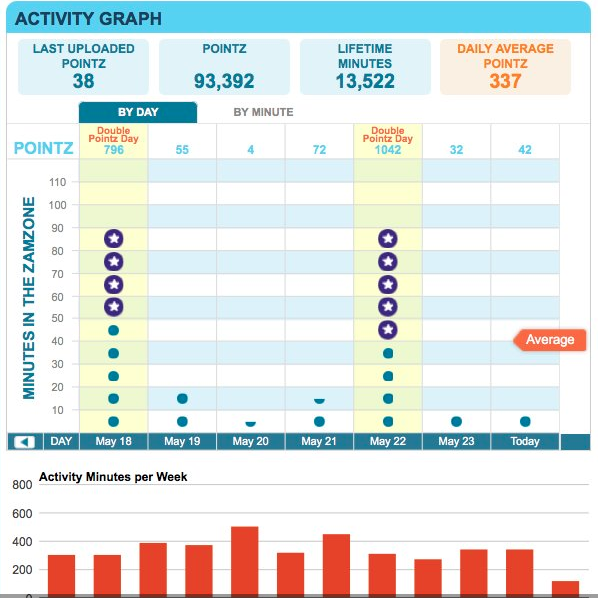 I can see parents using this as a rewards system too-kids can only go online to track if they complete an activity, or whatever…. My guys are having fun with it. I think it’s an awesome product! Hi Michelle, thanks for your enthusiasm! We think Zamzee is fun, too! P.S. We directly address the question of whether rewards can help motivate physical activity in this blog post: http://blog.zamzee.com/2012/07/24/how-to-motivate-physical-activity-are-rewards-the-key/ Our take is that rewards can be a great way to help jumpstart physical activity and make it exciting, but that they shouldn’t be the sole focus of the Zamzee experience. Another thing that my kids enjoyed are taking part in the challenges. They loved having a timed activity to see if they could do it. Lots of fun!